I’ve been cooking for one recently since I’m flying solo this week and didn’t want to eat doritos and wine for every meal. I’m not the type who gets inspired just cooking for myself, so it has to be something quick and easy. Behold! The jar of kimchi in the fridge. The leftover jasmine rice. 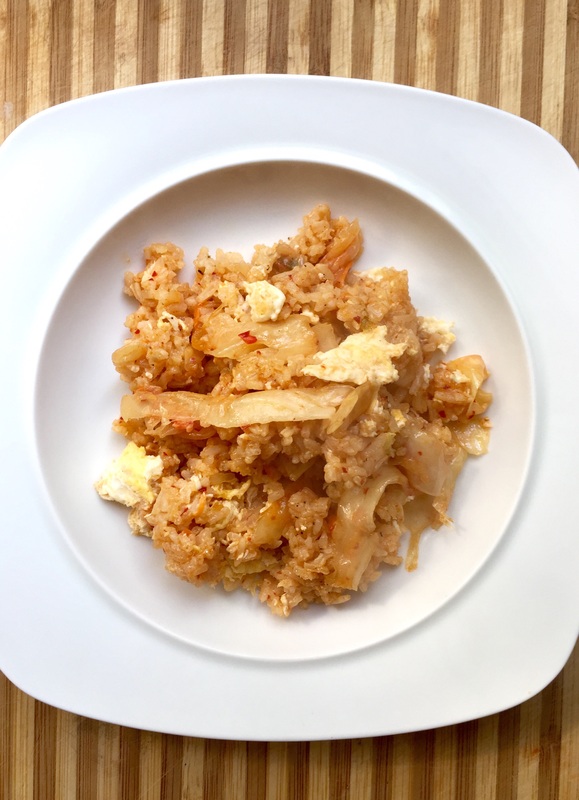 Ten minutes tops and this bare bones, but delicious kimchi fried rice is ready. No chopping or prep work required. For a vegan version, simply leave out the fried egg and add some fried tofu or chopped spring onion or chopped kim (nori sheets). 1) Heat up olive oil in a wok on medium and add in the cooked rice. Stir occasionally till warmed through and add in the soy sauce. 2) Add in the kimchi and cook another couple minutes. Taste and add more soy sauce or salt and pepper if needed. 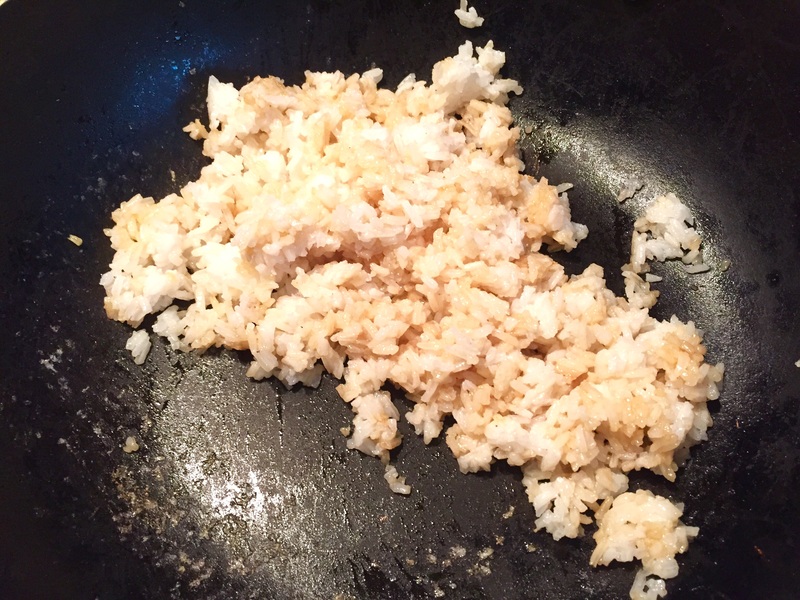 3) Push the rice to the side and add another drop of oil to the wok. Crack an egg onto the oil and whisk slightly to mix the yolk. (Or add tofu or vegetables if not using egg). Let cook for a minute on one side. 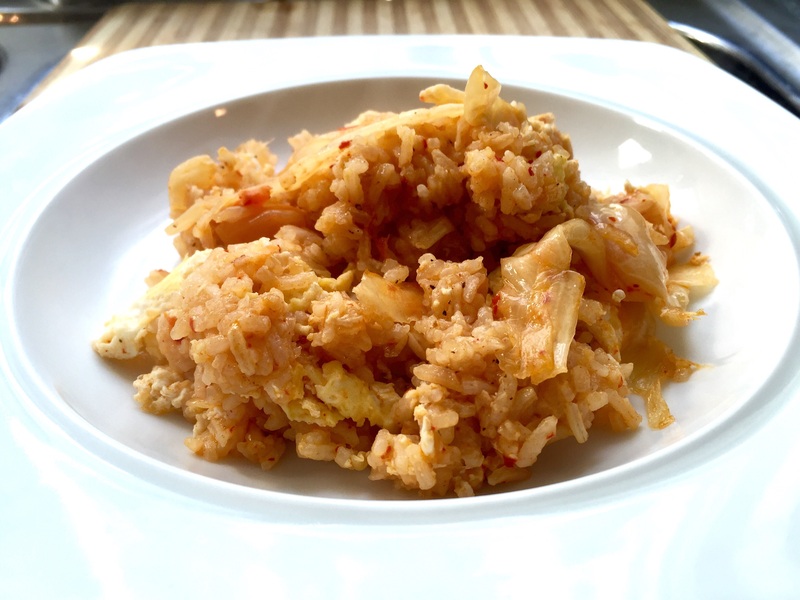 4) Fold the kimchi rice on top of the egg and cook another minute. Then fold gently together, resting between each stir to allow the egg to cook. 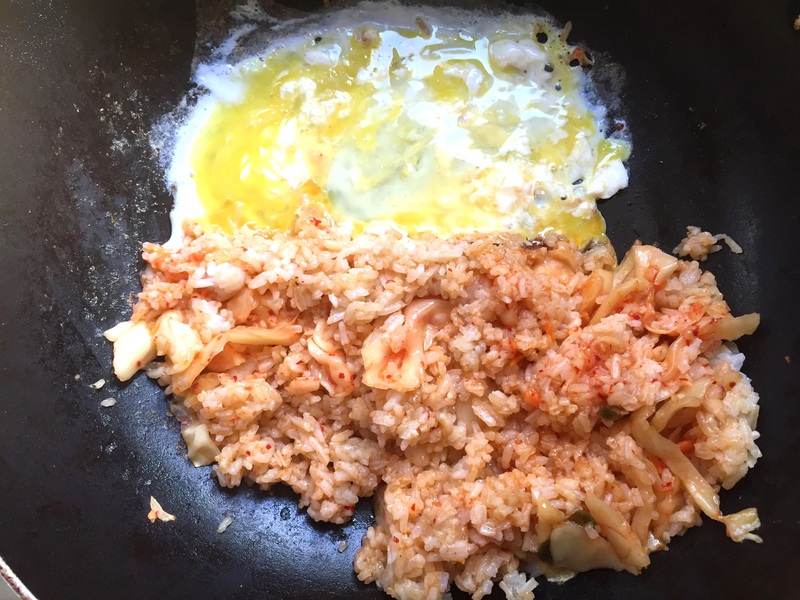 This way you will have large pieces of fried egg mixed into the rice. 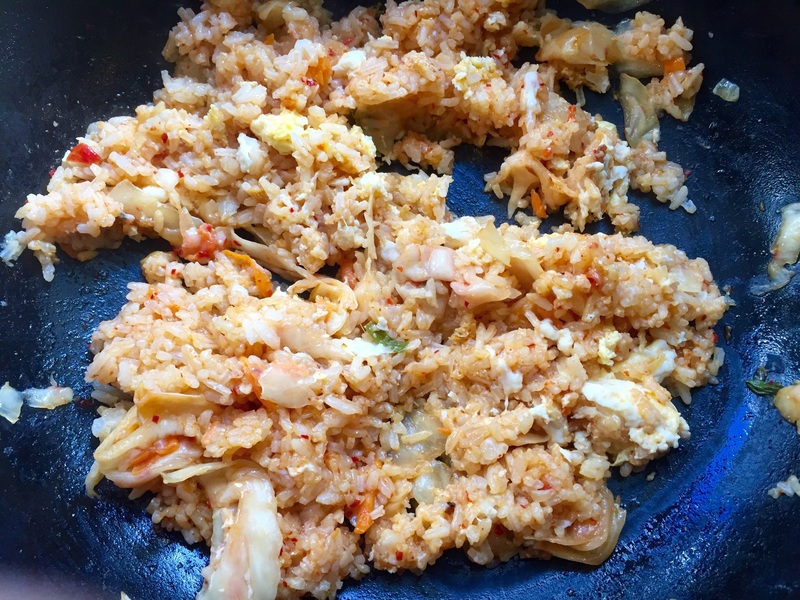 5) When egg is cooked, plate and serve. Add sesame seeds, go chu jang or hot sauce if desired.